Marketing printing services and technologies in the brave new digital world may seem like trying to sell whips and horse-buggies in the early days of the mass automobile production a century ago, but contrary to popular belief, history does not necessarily always repeat itself. While there’s no denying or understating the profound permanent impact of digital online publishing on the traditional global commercial printing markets—as any major newspaper publisher of note will sadly confirm—the widely-held popular belief that “Print is Dead” has little relevance in today’s global market for package printing and converting technologies. 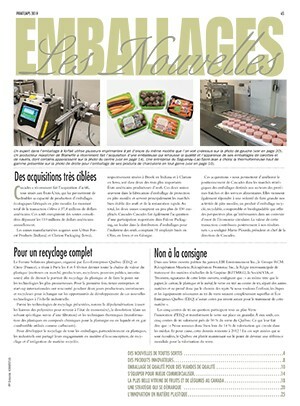 According to the leading packaging industry group PMMI of Reston, Va., sales or packaging and converting equipment accounted for a 10 per cent share of the US$7.7 billion worth of packing machinery shipped by all U.S.-based packaging equipment manufacturers of packaging machinery—hardly a tell-tale sign of an industry in permanent decline and acute distress. 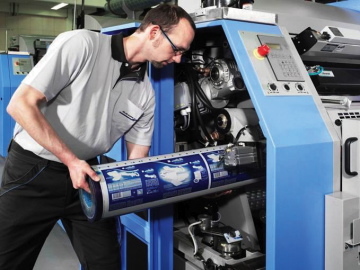 Not surprisingly, many major commercial printers who have seen the writing on the wall early enough have been stepping up their efforts to find new customers in the package printing and converting markets by investing in new-generation printing technologies able to accommodate cost-efficient production of various types of product labeling and selective pre-printed packaging products—albeit with various degrees of success. 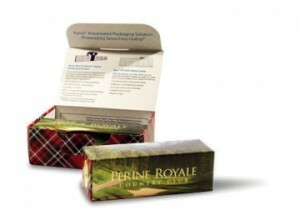 Designed specifically for short-run folding-carton printing application, the new state-of-the-art Xerox Automated Packaging Solution (XAPS) was used to produce the paperboard boxes featured on this page. And even more remarkably, leading brand names traditionally associated with office and other commercial printing technologies are also belatedly following suit—as evidenced by the rapid proliferation and popularity of the Hewlett-Packard (HP)’s famed Indigo series of all-digital label printing systems and, more recently, the grand entry of office photocopier giant Xerox into the package-printing marketplace that is starting to show its limits against the backdrop of a faltering global economy. According to the U.S.-based market researchers Global Print, the global market for all print products is expected to reach an estimated US$724 billion by 2014, with the package printing segment accounting for US$202.1 billion of the projected total, and related prepress systems and services for another US$18.1 billion. 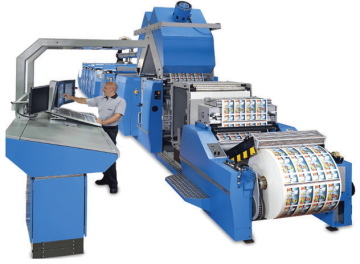 Conversely, the global commercial printing market (excluding newspapers) is expected to decline from US$366 billion in 2008 to $358.9 billion by 2014, according to the Global Print’s forecast, which also expects Asia to replace North America as the biggest regional market for print products and technologies during the forecast period with a nearly 35-percent global market share. That said, the U.S. will still be the runaway biggest single market for print in 2014 at $185.9 billion, with Canada slipping from eighth to 10th place at US$18.9 billion, being surpassed by the fast-growing print demand in the BRIC economies of India and Brazil. 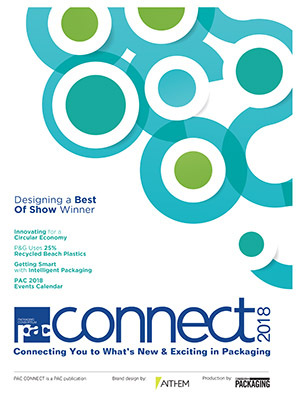 With more commercial and general printers turning to the packaging markets to maintain and grow their business, the last few years have witnessed a rapid acceleration in the development of more digital on-demand printing technologies and software to enable them to compete with the more established players, according to some prominent industry insiders. “Just a little over 10 years ago, the graphic community was a ‘fat’ society,” says Larry Moore, director of Software Services North America for the leading global graphic arts prepress systems developer Esko Group, Belgian-based prepress hardware and software manufacturer operating five production facilities in Europe, along with factories in the U.S., China and India. “For the most part, business was pretty good—until new market influences, namely the Internet and the post-9/11 economic conditions made the global print community much more cautious about its future prospects. 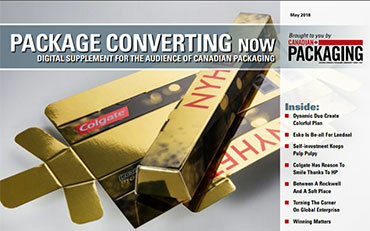 “In addition, short-run production from digital (presses) had not come of age yet,” Moore told Canadian Packaging in a recent interview. “For example, HP’s Indigo press was still early in its infancy. 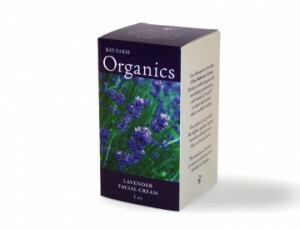 Says Moore: “Many commercial printers who traditionally focused on publishing are starting to look at brand management/packaging and sign/display print applications, and are also trying to get involved in label or folding carton printing. “Not only are these the new growth printing areas, but they would also involve a lot of the same equipment they used for their commercial printing work—thereby requiring less investment in new capital equipment. “If they are successful, they could create a lot of competition for companies who have gotten used to competing on price, which could erode profits for everyone. 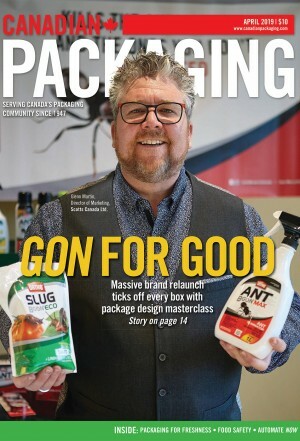 “The big challenge to existing companies that have always been involved in packaging is to offer services that exceed what others are doing,” Moore asserts. “This could involve providing better collaboration tools, faster prepress delivery with new technologies, use of 3D proofing, etc. “But while the intrusion of commercial printers into packaging could threaten existing business status quo, it could well turn out to be a good thing for the industry in the long run,” Moore expands. “There is still extra capacity for smaller companies to get involved in smaller projects—for example, producing 200 pieces of packaging for some special widgets, which could help some smaller consumer product companies get off the ground. The VSOP range of offset web presses manufactured by Müller Martini is designed to ensure fast changeover and lead times to facilitate cost-competitive printing of labels and flexible packaging products with superior print quality. Office printing systems supplier Xerox certainly appears to be anticipating CPG companies to do just that—having recently introduced the company’s state-of-the-art Xerox Automated Packaging Solution System (XAPS) to the global graphic arts community, which is now available in North America after a series of successful startups in Europe, according to the company. 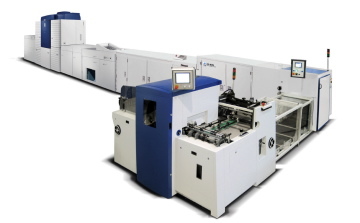 Described as the world’s first and only fully-integrated, inline digital solution for package printing applications, the XAPS system features a leading-edge iGe4 digital press designed primarily for short-run color printing at speeds of up to 110 packs per minute in one smooth, integrated process that also incorporates a Stora Enso Gallup buffering stacker, the Epic CT1-635 inline coater, and a Stora Enso Gallup DC 58 die-cutter to take care of the entire folding-carton production process. “Xerox has been in the business of providing our (XAPS) solution for folding-carton producers in the European market for the last two to three years, and we are proud to have made this solution available in North America over the last 12 months,” says Chris Connor, Canadian director of high-end solution at the company’s Toronto-headquartered Xerox Canada Ltd. subsidiary. “This technology is the logical evolution of our proprietary iGen Platform technology that we have already been marketing to the commercial print market for the past 10 years,” Connor relates. 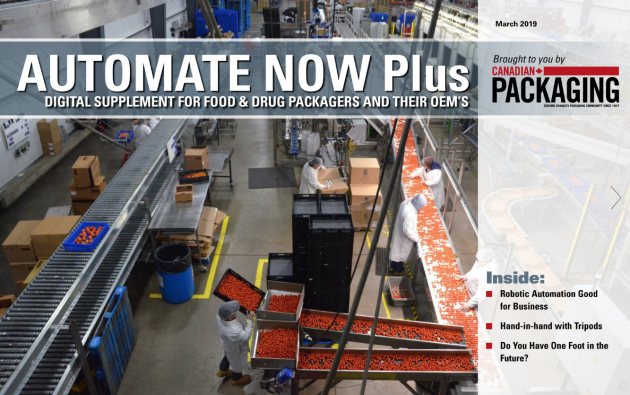 Rapid evolution of automated packaging workflow systems and processes. Production of pharmaceutical boxes with advanced security features that could one day replace the need for traditional instructions inserts by printing all the required text on the inside panels of the boxes. “There are many key benefits of the XAPS systems that end-users can optimize to their advantage,” says Connor. “For example, the overall supply chain process associated with the way that Microsoft used to process new orders for Windows 7 boxes versus the way they do it in Europe, Asia and Africa has been radically enhanced by moving from print-to-inventory to print-in-demand methodology. “You have the benefits of elimination of inventory and associated obsolescence, substantial reduction in the cost of production, substantial reduction in the turnaround time for box production, and the flexibility of allowing Microsoft purchasing agents to place their orders ‘on-demand’ for specific stores, in specific regions, on strictly as-needed basis,” states Connor. 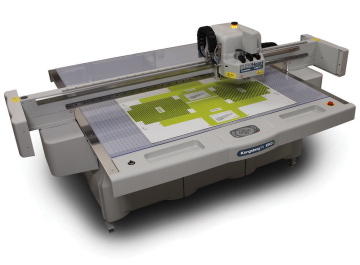 Designed for handling a wide variety of materials, the new Kongsberg XN range of finishing tables from Esko features a modular tabletop industrial design, a choice of seven sizes and four different toolhead designs, and innovative insert tools such as solid board v-notching insert, a corrugated paper-core board v-notching insert, and a Braille tool insert. He continues: “I really believe that Xerox is at the leading edge of rapid technology advances in digital printing with the XAPS technology, which already has proven to have great applicability and viability today to address the fast-changing requirements in the folding-carton industry, as Xerox continues to make the required R&D technology investments to keep us at the forefront of future technology advancements. “Our belief at Xerox is that the size of the folding-carton market overall is going to be maintained over the course of the next 10 years,” Connor says. “That said, the fast-changing market requirements—shorter runs, security features, environmental expectations, personalization, QR Codes, special marketing needs, and faster turnaround times etc.—will help ensure a significant increase in demand for short-run digital solutions in this market for the next 10 years—providing us with a significant growth opportunity. Wolfgang Ruoff, product manager of printing presses with the leading German offset printing presses manufacturer Müller Martini Druckmaschinen GmbH, says that while changing CPG customer requirements will provide promising growth opportunities for suppliers of digital package printing, this trend does not mean inevitable obsolescence for the more traditional offset press technology that has also gone through a rigorous technological evolution in the last decade—enabling it to become a highly cost-effective solution for printing flexible packaging as well as folding cartons. “We began printing film with offset machines about eight to 10 years ago to serve our traditional customers printing forms and direct mail products looking to move into new markets, as well as the traditional flexographic Rotogravure printers who needed new solutions for making them more cost-competitive for shorter-run applications, with higher print quality,” Ruoff recalls. 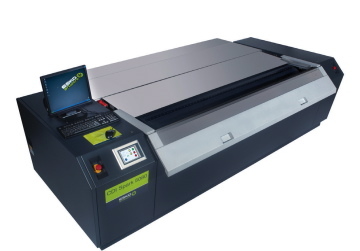 Designed primarily for flexographic printing of flexible packaging and folding cartons, the model CDI Spark 4260 imager from Esko is designed to provide fully-automatic plate loading and unloading for maximum throughput and minimum operator intervention. According to Ruoff, the company has installed over 120 model Alprinta V and VSOP (Variable Sleeve Offset Printing) web offset presses worldwide for end-users looking to obtain such benefits in their label and film printing applications, with the popular Bolthouse energy beverages and Welch’s grape jelly brand using VSOP offest presses to print their branded shrinksleeves. “We are the only company who can offer reliable and proven solutions for infinitely-variable offset solutions for both label and flexible packaging printing with exceptional print fidelity,” he says. “In the old days, you would use rotogravure for high-quality printing and flexo for lower-quality printing,” says Ruoff, “but with shorter-run production, rotogravure is often just too expensive, whereas flexo is still not good enough, in some cases, to meet the higher-quality requirements for better shelf impact. “With the frequently changing designs requested by the multinational brand-owners, there are really no repeat jobs any more,” says Ruoff, noting that a growing number of private-label and store brands are becoming increasing more demanding in their expectations of high print quality. “Package design in general is moving up the corporate ladder and goes well beyond just graphics and up the corporate ladder,” he states. “The numbers of SKUs (stock-keeping units) are up significantly for just about every product category, as multinational brand-owners want to be in every price point up and down the shelf.